Do You Know About Gravenstein Apples? Those wonderful apples were all over when I was growing up in Washington State, and now you can hardly find them! They make the best pies, applesauce, cobblers you find anywhere...my mother never used anything else. It seems they originated in Europe somewhere, arrived Denmark in 1669, then made their way to North America. They don't keep well, so they are not grown commercially; you just find them in old orchards and around old houses. Well I FINALLY found an old Gravenstein tree, hurrah! So now I was wondering; what kind of apples grow where you live? India, Serbia, Switzerland, USA or wherever you are...do you have childhood memories of great apples? Gravensteins may not look like much...but they are wonderful. Nope, never (knowingly) tried them, but they sound great. Are they anything like Granny Smith apples? Yes O'Tink, same concept as Granny Smith with the tartness that makes for good pies, but Gravenstein are MUCH more flavourful, and their skin is thinner. Sorry, never heard of them but I'm not a big apple fan! 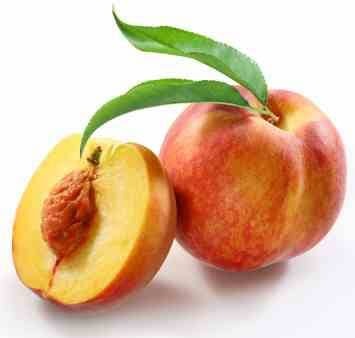 Peaches are good too, Rooster! Peach trees rare here west of the Cascades, but eastern Washington semi-arid is great for those...huge commercial orchards! and some rare sorts, like Bovard, Beutchin, Citron d'hiver, Baron de Berlepsch, Calville blanc d'hiver, etc. Lol, Virginia - I remember a few of our European sorts; when we were kids, we had apples very often - and they are still much appreciated, but many of the old sorts have become rare. Marianne, I also just found an old tree with yellow transparents, another apple variety I recall from childhood but you don't see much now! Yes, Virginia - quite a few of these old, classic sorts have been used to create new sorts. But there has been also an increasing concern about ancient, rustic cultivars, and various local and regional conservation programmes of ancient and rare crops, vegetables and fruits have been initiated since long, like for ancient and rare domestic animal species. Anyway, farmers were given wonderful new seeds for high-producing wheat (or some kind of grain staple), but they soon abandoned it and went back the old one; which was resistant to disease and also drought-tolerant. With the new one, their crops were unpredictable and they could get into starvation. Also the seed bank; isn't that located in an underground vault somewhere in Greenland, or maybe Iceland? Anyway, do I recall correctly, they have ALREADY needed to draw on those reserves to restore a lost strain of agriculture, when the inbred or GMO stuff just failed...? Marianne, THAT was a fascinating video...I watched it twice! And I am VERY glad Morgan Stanley failed in their attempt to make $multi-billion profits in Ukraine agribusiness. Lehman Brothers collapsed just then (2007-8), plus M-S had difficulty getting the chemical fertilizers and the replacement parts for their huge machines...plus tariff problems in exporting their harvest. First "positive" effect I have seen from the Great Recession 2008...it stopped or at least helped slow down the commodification of the Ukraine breadbasket! Yes, Virginia, I must say that this big agribusiness is causing condiderable damages, as the related pesticides are destroying the biodiversity of many zones. I am also thinking about the extermination of the bees and other pollinating insects, and other animals, native plants, etc., and the related health problems to the populations living in these zones. Yes, Virginia, the problem is that there is no sustainability in destroying the natural resources. Speaking of WW1, no one seems to remember the fierce fighting in Africa. Do you know about it?